The various X-titles have always been a mystery to me. I’ve probably read hundreds of issues of X-Men comics and I still constantly feel like an outsider when doing so. I cannot read a single issue without having tons of questions. Uncanny X-Force #1 proved to be no different. Luckily we at MLD have a resident X-pert. 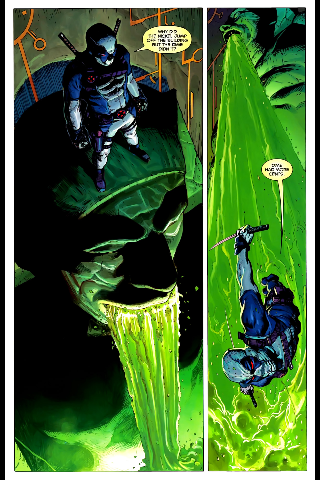 KevinMLD: So Archangel is now like an uncontrollable repressed personality similar to the Hulk? How long has that been the case? PTB: The transformation part is new to the last X-Force series and I don’t remember it being so explicitly stated that it was another personality. 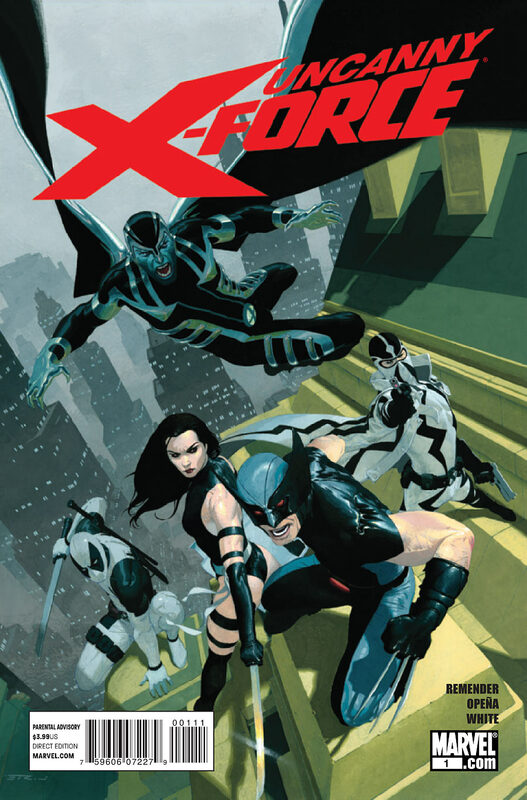 There are pages at the back of Uncanny X-Force #1 that recap that whole series. It’s not such a leap, his Archangel/Death persona was always the worst parts of him. I got the impression the wings were “who” he was trying to repress, and from the beginning that’s been part of the deal. KevinMLD: That definitely struck me as a little odd. Granted I hadn’t read an archangel story in like a decade, but I thought the wings maybe had a will of their own… but I didn’t think it was a whole personality. PTB: Yeah that’s more what it is, but they bring out a bloodlust in him too. KevinMLD: By the way, I did look through those summary pages, but they’re not written in a compelling enough fashion to read the whole thing. PTB: They’re written from Wolverine’s perspective so that made them sort of interesting. They did a very thorough job of covering the previous volume of X-Force. KevinMLD: Thorough I agree. Interesting I do not. PTB: Almost too thorough. If I’d been telling you the story, there are a lot of things I would have left out. KevinMLD: It definitely read like way too much information, so I agree. Can you talk me through this bit about the final Apocalypse horsemen? Why are they different in this case? And do you know when Apocalypse was reincarnated? I was a little unclear on what was happening during the ceremony. Was that the moment he was reborn into the child? Or has he been in that child’s form for awhile? PTB: So Apocalypse normally selects mutants to be his Horsemen from those who have been wronged by humanity or the world in some way. These “Last Horsemen” have never been referred to before to my memory, but they sound like a contingency plan for his endgame. If I recall correctly, that’s supposed to happen in the 35th century. Actually, these Horsemen may have been referred to in a Cable story somewhere along the line, but they’ve never been revealed to my knowledge. Initially I thought the reincarnation must have occurred off panel, but looking back you can see Apocalypse’s form in the mists when the sarcophagus opens. Last time we saw him, I thought he was lost in time and space on a Celestial ship. The fact that they were on a Celestial ship also makes me think they did wake him up there, but it wasn’t clear. At first, I kind of got the impression the ceremony only woke up War. KevinMLD: Well in that case was War the gargoyle that attacked Deadpool and the others or no? I was confused by that. I thought he was the Gargoyle, but then War seemed to jump around and possess members of X-Force. But if the Gargoyle was War it seemed to be alive before the sacrifice took place. Is War independent of the Gargoyle thing? But the Gargoyle’s ax allowed War to possess Wolverine, etc? PTB: Well Archangel says “that was War in there,” but the gargoyle is destroyed. So maybe it was War’s essence that was in the Gargoyle and spreading into members of X-Force. KevinMLD: That leads to my next question. If War is seeking a host and it was going to be the Gargoyle, do you interpret it as War now just being out there floating around looking for a host? PTB: I guess you have to, right? Although, if you look at the last couple of pages you can see the Gargoyle is outside of the room Apocalypse is in. Kevin MLD: Then what blew up???? Ugh. So I guess this is a basic Apocalypse question, but he apparently has followers? Are they like a cult? PTB: Yes, he has the Clan Akabba. They’ve worked in the past to serve him but there have never really been specific recurring characters. KevinMLD: So we dont know why this clan serves Apocalypse? PTB: They worship him and I believe they are made up of his descendants. They believe he’ll rule the Earth one day and want to cull the strong from the weak. Kevin MLD: Of course they do. They always do. They’re basically the Westboro Baptist Church. PTB: Haha! In their own way. 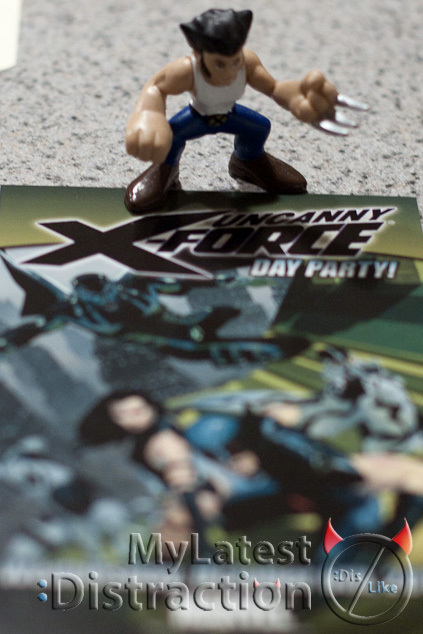 KevinMLD: So I guess the question is did Uncanny X-Force live up to your expectations? PTB: It did. It was actually a solid first issue. They went on a mission and although they’ve completed it, as they say they may already be too late. You could read it on its own and get a satisfying story. The characters are all established, but this gives you the basics and their relationships. KevinMLD: I definitely think it’s a strong opening to have a complete story in your first issue that establishes the characters pretty firmly. Not sure I’ll be able to stand Deadpool though. PTB: Deadpool is not for everyone. I liked the art more than I was expecting. I’m not familiar with Jerome Opena but something about the preview pages had me thinking it wouldn’t be to my tastes. I’m happy to say that wasn’t the case. 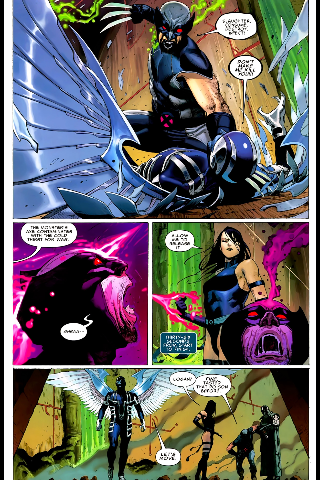 KevinMLD: The art is particularly nice when contrasted with the recent work of Whilce Portacio on the X-books. That makes my eyes bleed. 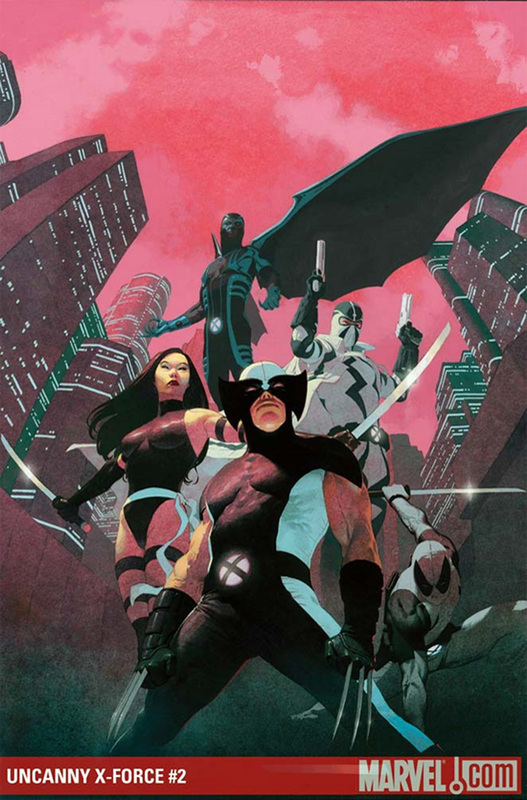 PTB: I really like the cover artist, Esad Ribic. The image for issue #1 is great, but I think I like the cover for #2 even more. KevinMLD: Do you think the ending will complicate the mission Angel has committed the team to pursuing? PTB: The ending with the Kidpocalypse? That’s clearly going to be a problem. I’m also concerned about their exposure to War and Apocalypse in general. All of these characters have been seriously manipulated over the years (Apocalypse, the Shadow King, Weapon Plus have all messed with their minds). I could see them being the final Horsemen themselves without even realizing it. I think part of making him a child is to push the moral question often presented as some variation of killing Hitler as a child into the story. KevinMLD: I totally agree that’s where they’re going with it, but it’ll be more interesting to see if they can come up with a rewarding payoff to that idea as opposed to what Thunderbolts did with the return of Baron Zemo.